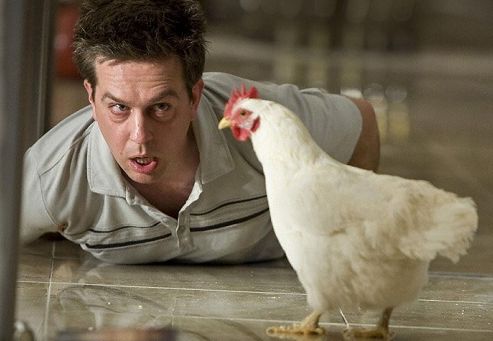 It’s hard to remember, but there was a time when The Hangover was funny. As we prepare for the final (please, God) installment of the least necessary trilogy since Beverly Hills Cop, it’s easy to forget that the first Hangover film is a hysterical spiraling nightmarish weekend of chaos. It was very close between this and Zach Galifianakis aping the blackjack scene from Rain Man, but it’s The Tiger Song. Fun fact, Ed Helms actually has a messed up tooth that he had the dental work for removed for the film (he had to go to a new dentist because the one who put it in refused to take it out). So stay home and watch The Hangover on Blu Ray and don’t reward them for making another one, but you won’t listen to me. If people did, there wouldn’t have been 74 Saw movies.